In 1940, The Public Housing Authority purchased the site now known as Fulmor Heights. The intention was to provide housing for civilian defense workers employed in surrounding factories. In 1947, three hundred residents purchased the community from the government. 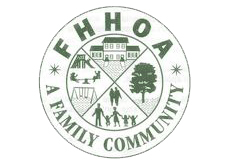 A non-profit corporation in the form of a limited-equity housing cooperative was organized and Fulmor Heights Homeownership was born. To this day, the community is still membership owned and is self-managed by a Board of Directors chosen by the membership. Although faces have changed and our community has progressed since 1947, our vision remains the same.....Fulmor Heights offers our members the “perpetual right” to reside, for generations, in a community where pride and personal values exist. A knowledgeable Association Staff is available Monday through Friday from 8:00 am to 6:30 pm to answer questions and provide member assistance. Please call (215) 675-1626 to have all your questions answered in a timely fashion. BINGO - Who doesn't like free pizza and Bingo?? Thursday, April 11, 2019. Doors open at 6:30 pm. Bingo starts at 7:00 pm. Please check Facebook or our website for weather cancellations. EASTER EGG HUNT - The annual Easter egg hunt sponsored by the The Club at Fulmor Heights will be held on Sunday, April 14, 2019 starting at 2:00 PM. The office and maintenance department will be closed Friday, April 19th in observance of Good Friday. For emergencies only, please call 215-675-1626.